Like many of you, I'm a fan of Sarah Britton. 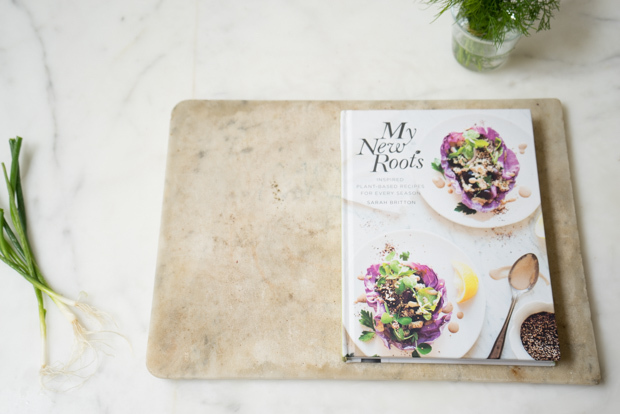 Her site My New Roots is a beautiful blend of inspired cooking and nutritional insight, punctuated with genuine positivity. 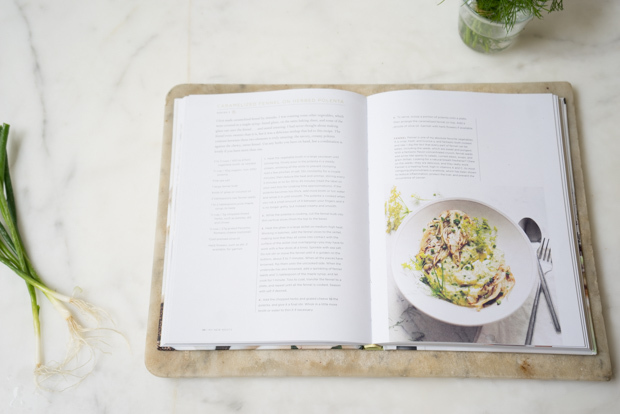 I'm sitting here with her eagerly-awaited first cookbook - a substantial hardback filled with her signature plant-based recipes and vibrant photos. I've had the manuscript for months, and expressed my enthusiasm with a quote on the inside cover. I could have written a lot more if I'd been allowed to edge in on Sara Forte or Deborah Madison's endorsement space ;) Here's what I wrote, "My New Roots is beautiful proof that eating with nutrition in mind need not be a compromise. This is an unabashedly enthusiastic riff on the food-as-medicine approach to cooking and eating. Sarah's playful and encouraging voice is infectious; you get the sense that she is waiting on the other side of each recipe to give you a high five." I think the high five is the key, and part of what I love so much about Sarah's work. At a time when many food choices work against us, Sarah wants your food and cooking to work for you. And she works hard at communicating the hows and whys - riding that line of inspiration and coaching, with the just the right amount of nutritional context. There are a lot of great recipes in her book, but I cherry-picked this gem to highlight. It is a creamy, herb-flecked polenta spiked with Pecorino, and topped with caramelized slabs of pan-seared fennel. HS Note: This recipe serves two. You might as well double or triple the recipe for more servings, or easy leftovers. Community Grains sells a beautiful polenta integrale - it takes more cooking time (up to three hours) but the resulting polenta is rich, creamy, and flecked with the signature red of this heritage corn varietal. Heat the vegetable broth in a large saucepan until simmering. Slowly pour in the polenta in a steady stream, whisking all the while to prevent clumping. Add a few pinches of salt. Stir constantly for a couple minutes; then reduce the heat and simmer, stirring every 5 minutes or so, for 30 to 45 minutes (read the label on your polenta for cooking time approximations). If the polenta becomes too thick, add more broth or water and whisk until smooth The polenta is cooked when you rub a small amount of it between your fingers and it is no longer gritty, but instead creamy and smooth. While the polenta is cooking, cut the fennel bulb into thin vertical slices (from the top to the base). Heat the ghee in a large skillet on medium-high heat. Working in batches, add the fennel slices to the skillet, making sure that they all come into contact with the surface of the skillet (not overlapping). Sprinkle with sea salt. 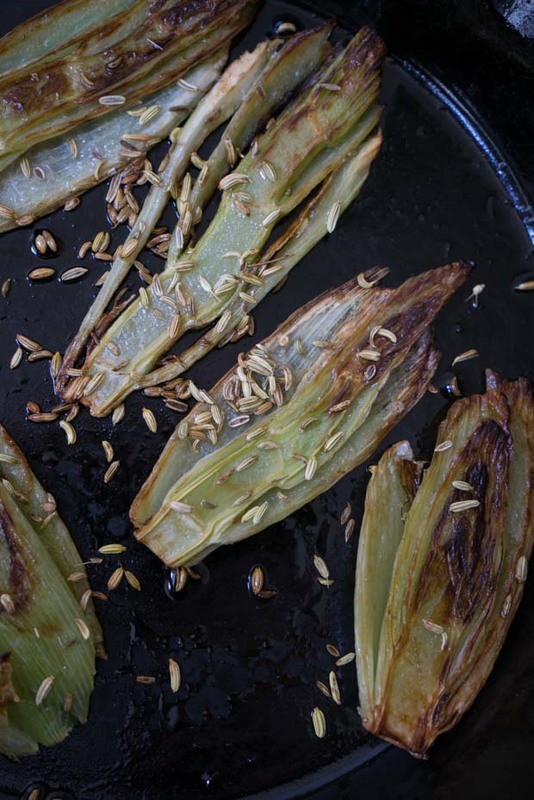 Do not stir or move the fennel until it is golden on the bottom, 5 to 7 minutes. When all the pieces have browned, flip them onto the uncooked sides. When the underside has also browned, add a sprinkling of fennel seeds and the maple syrup, and let cook for 1 minute. 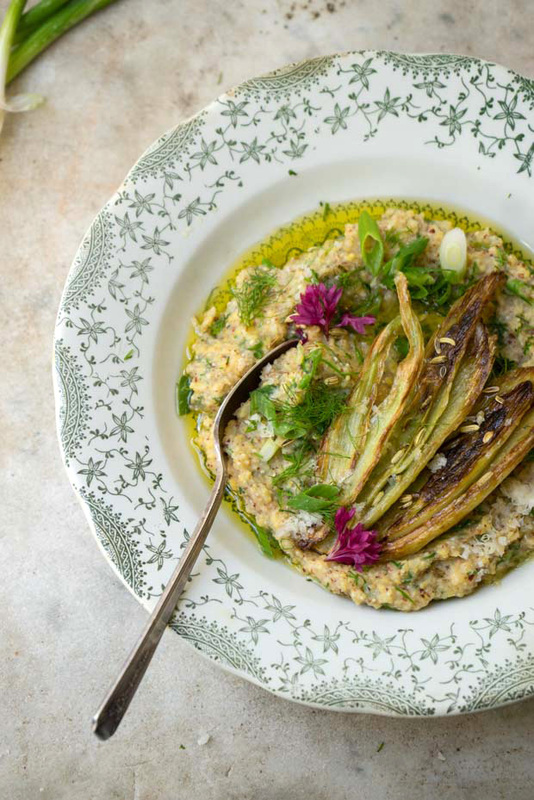 Toss to coat, transfer the fennel to a plate. Season with more salt if needed. Add the chopped herbs and grated cheese to the polenta, and give it a final stir. Whisk in a little more broth or water if necessary. To serve, scoop a portion of polenta onto a plate, then arrange the caramelized fennel on top. Add a drizzle of olive oil. Garnish with herb flowers if available. From My New Roots: Inspired Plant-Based Recipes for Every Season by Sarah Britton.